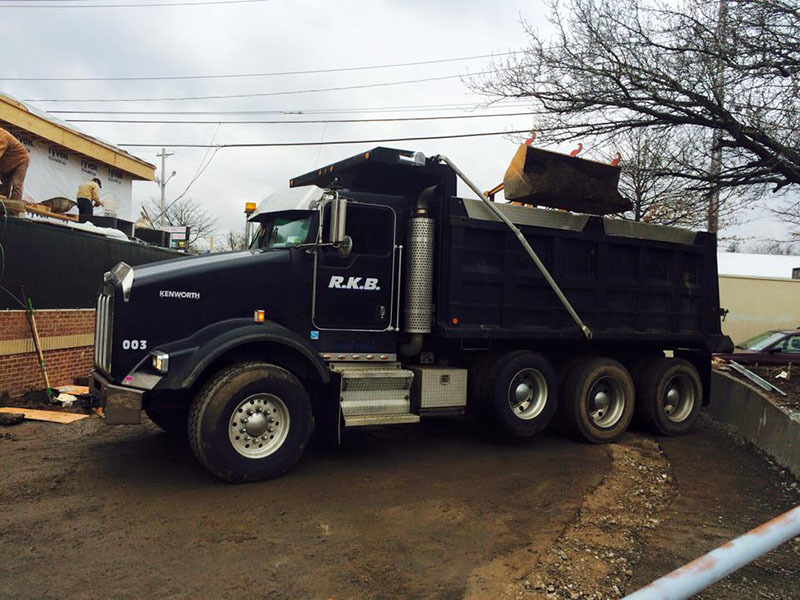 RKB Trucking and Material is a wholesale supplier of building, construction, landscape & masonry materials that include Gravel, Pea Gravel, Sand, Stone, Dirt, Topsoil, Rock Salt, Recycled Stone and Aggregate materials to builders, landscapers, landscape suppliers, masonry suppliers, paving companies, nurseries, garden centers, private contractors and homeowners throughout Westchester County. Some helpful cubic yard calculators to help you get an idea of how much material you might need for your job. 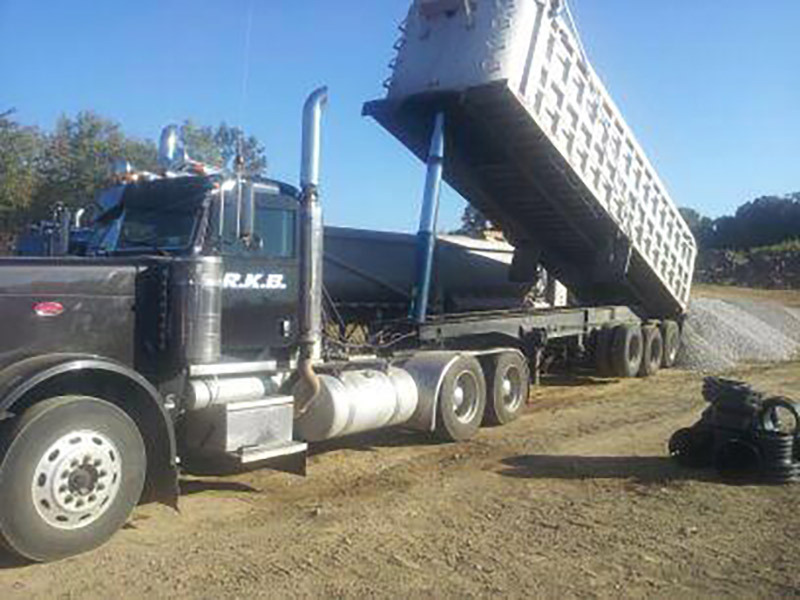 You can use these to calculate dirt fill, sand, gravel, topsoil and most other types of fill construction material. These numbers can be helpful when you are trying to determine things like fill dirt prices for your project, the cost of gravel, top soil price, asphalt pricing, concrete costs and the like. To use these Calculators, enter the width, length, and thickness of your area. Click on whether you are measuring the thickness in feet or inches, then click on the Calculate button. 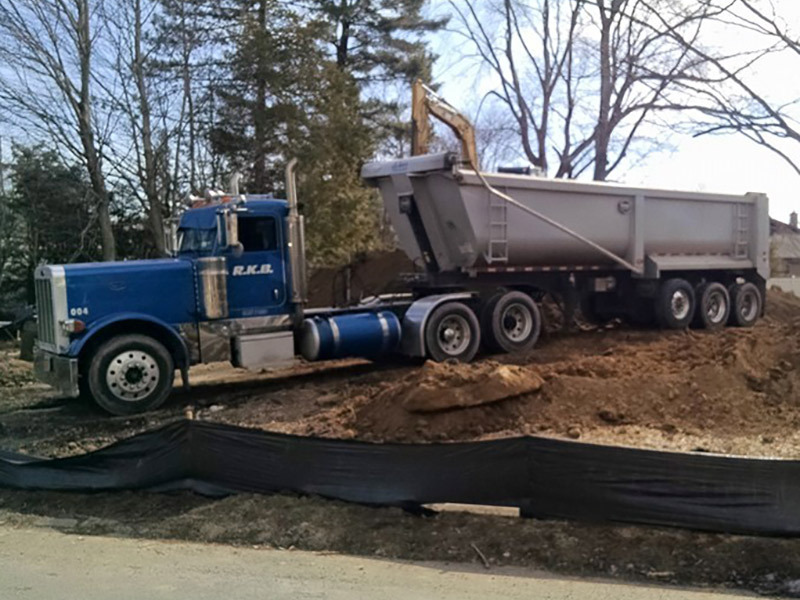 The calculator will estimate the number of cubic yards of material that will be needed. For: Gardens, Pools, Ponds, etc. For: Gardens, Lawns, Driveways, etc. Contact us to receive a Free Quote on materials & delivery. 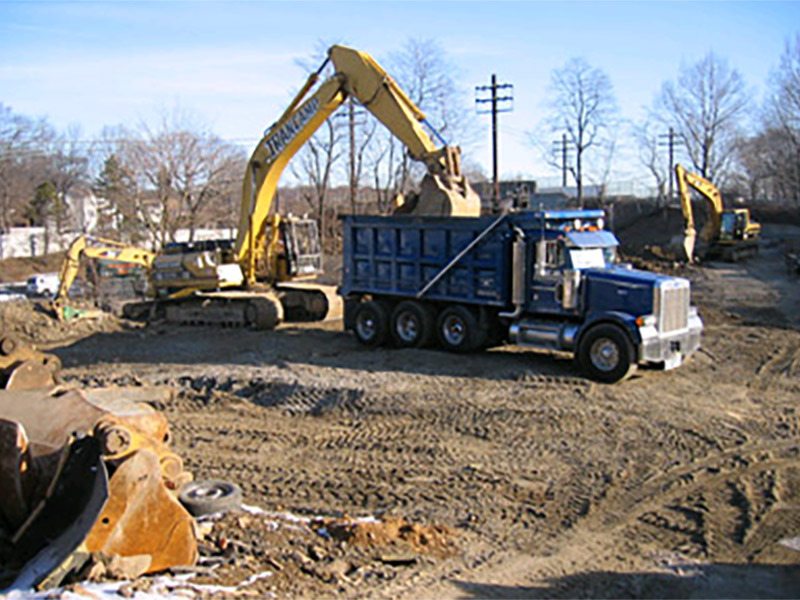 We offer wholesale pricing and delivery of construction and landscaping materials in bulk throughout the Tri-State area.